Originally just Apple-flavoured, now also available in Android, Instagram is the photo platform used by millions since 2010 and bought for millions by Facebook in 2012. 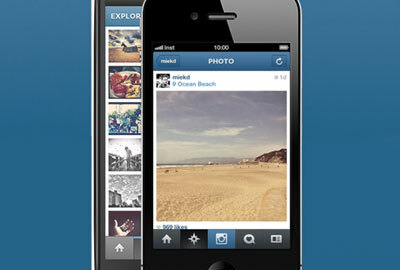 It lets you take, upload and share photos to a social network. And yes, basically it's an app. So why am I kicking off a series on social media with it? Because the key word is "social", and Instagram has that in spades. With passionate groups of Instagrammers (or "Igers") the world over, covering every topic imaginable, this is a hugely creative community for the charity sector to tap into. The search functionality is not brilliant. But there are 100 million users posting 40 million pictures a day that the sector shouldn't ignore. So how do charities get seen and what should they be showing? - Show the impact of the work you do. This could be real-time updates from the field, as WaterAid did during The Big Dig, a campaign overview or even your year, as Calgary Zoo in Canada did with its 2012 annual report. Take advantage of Instagram's geotagging to give more context. - Make it personal. Show people who you are. Post behind-the-scenes pictures of project work or fundraising events, or show a day in the life of someone you work with. - Invite people to get involved. It's what social media is for. Hold a contest - something Action Against Hunger did with food bloggers during Love Food Give Food. Start a conversation about a topic and encourage people to answer with their photos. - Seek out obsessive Instagram users. Search for people to connect with online. Go to a meet-up, get them actively involved and take advantage of their networks. - And a plea from a user: #Don't #overuse #hashtags. You'll see other people doing it (there's no character count in the comments box by each photo); but it makes captions unreadable. Producing a business case for cloud computing - what are the benefits? Cloud computing - a case of faith, hope and charity?